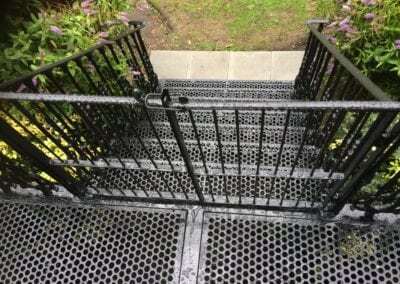 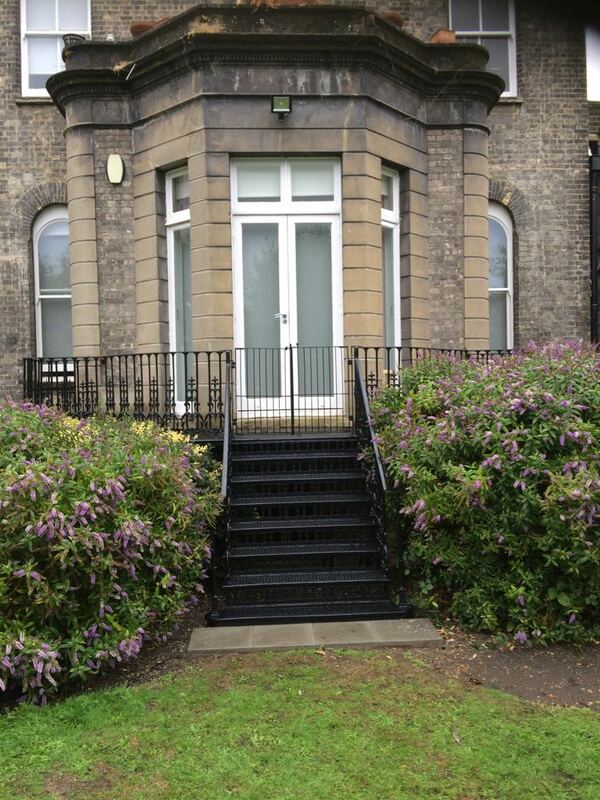 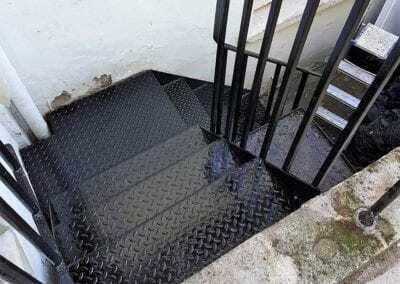 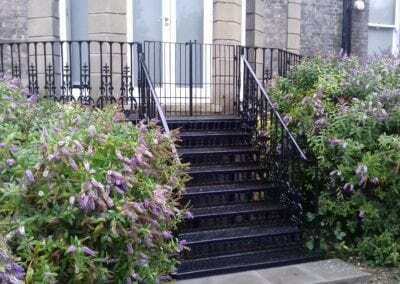 When the client wanted to return the steps to her garden to their former glory she turned to us. 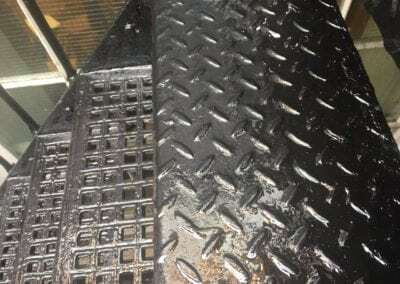 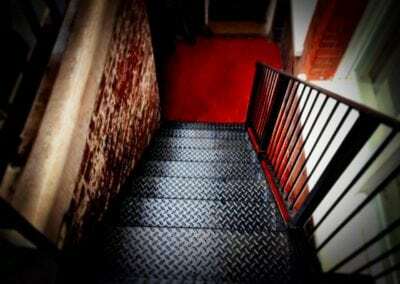 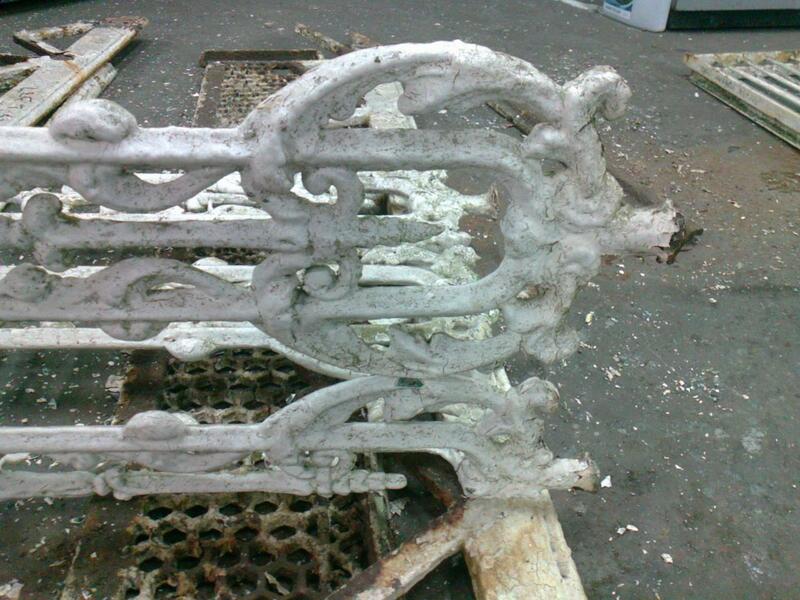 We carefully removed the steps, which she hadn’t been able to use for more than 2 years and took them to our workshop. 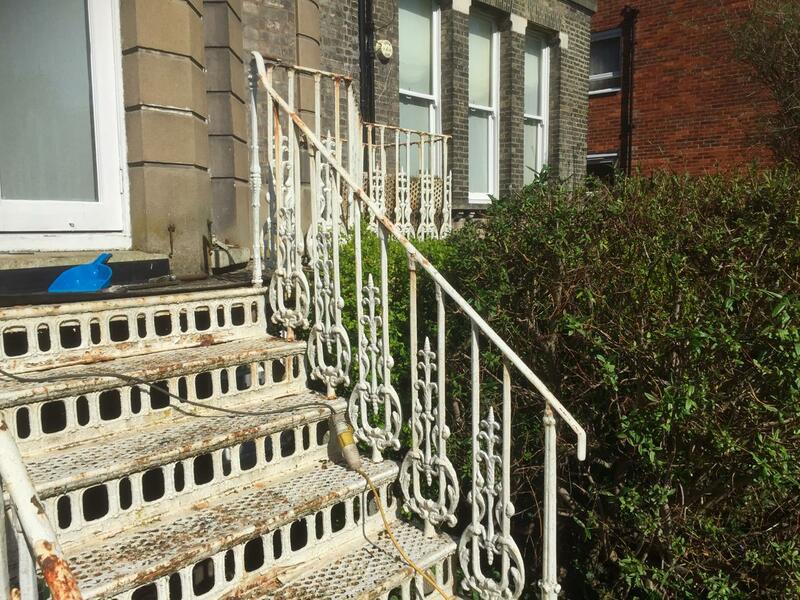 There we painstakingly removed all the paint (more difficult than we had anticipated, as the metal was so brittle we had to do this by hand) and salvaged as many components as possible. 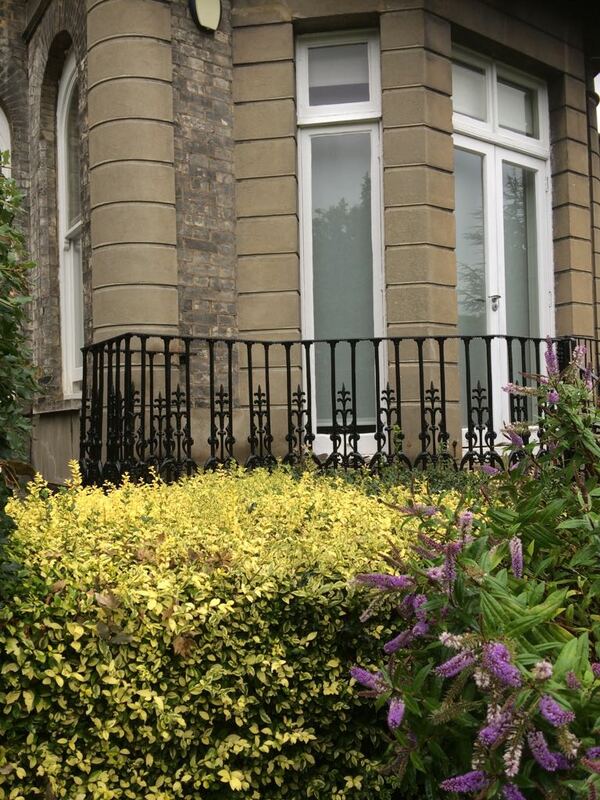 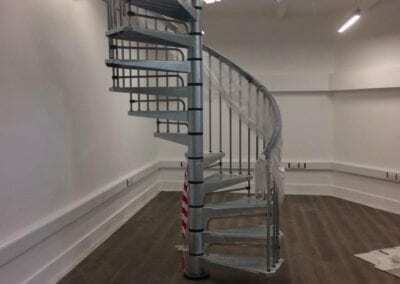 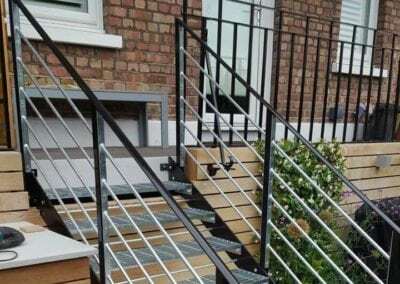 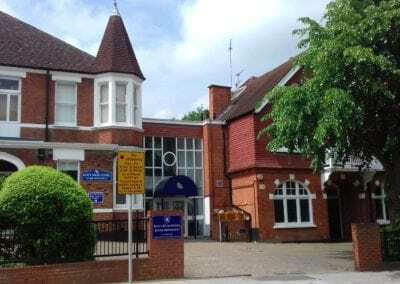 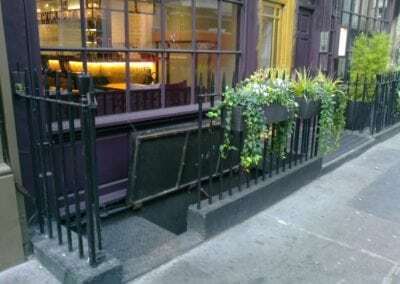 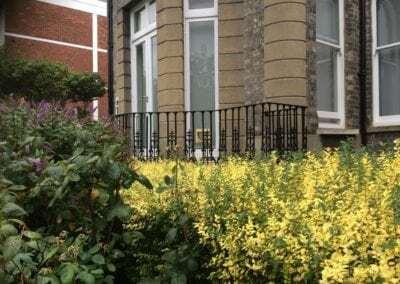 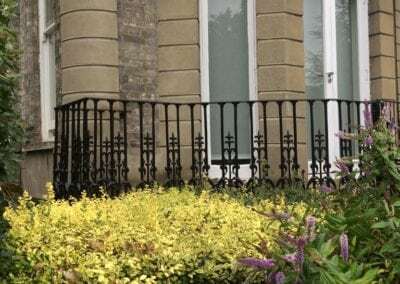 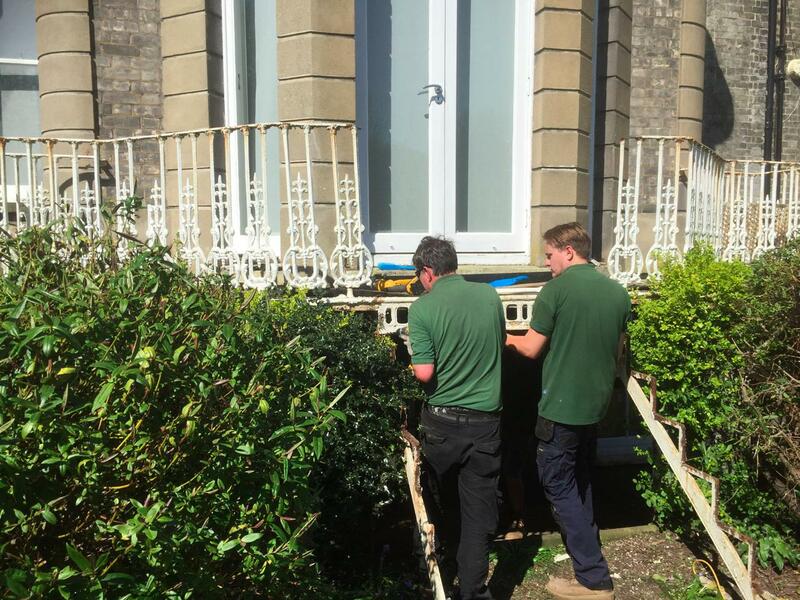 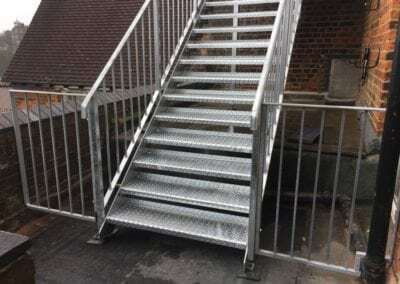 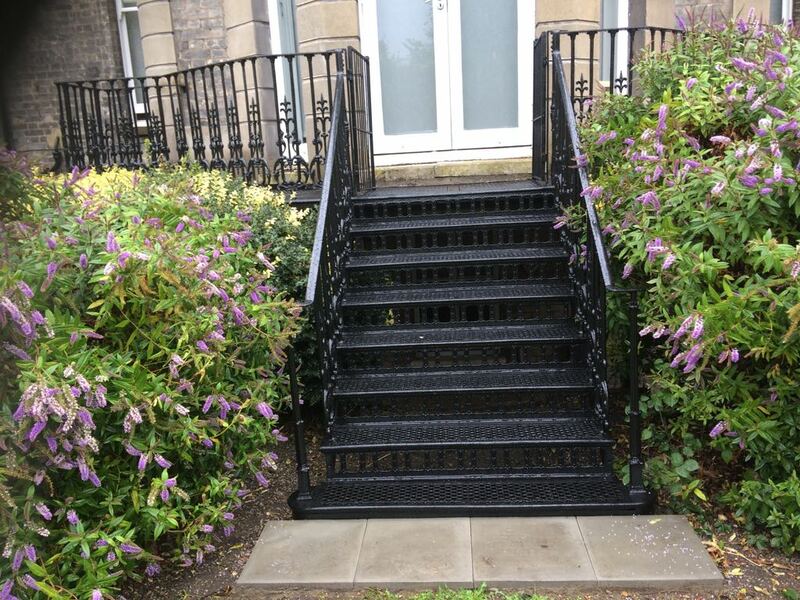 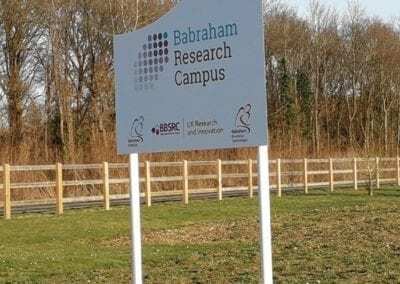 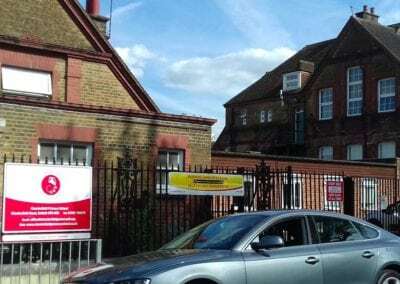 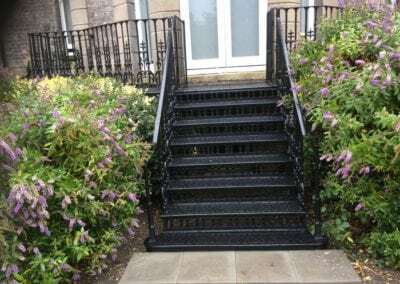 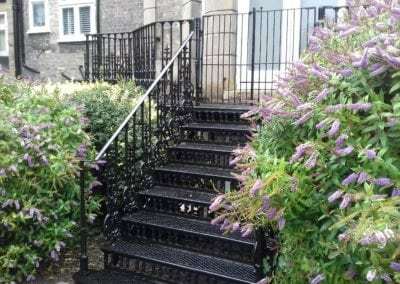 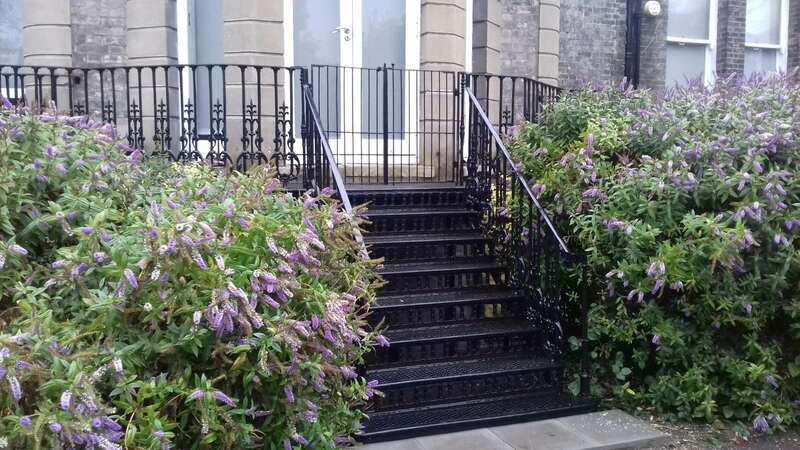 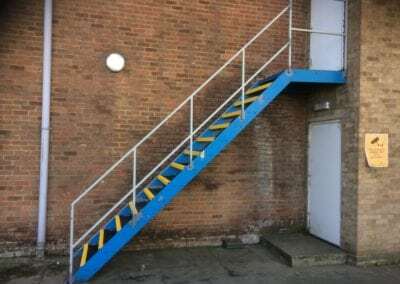 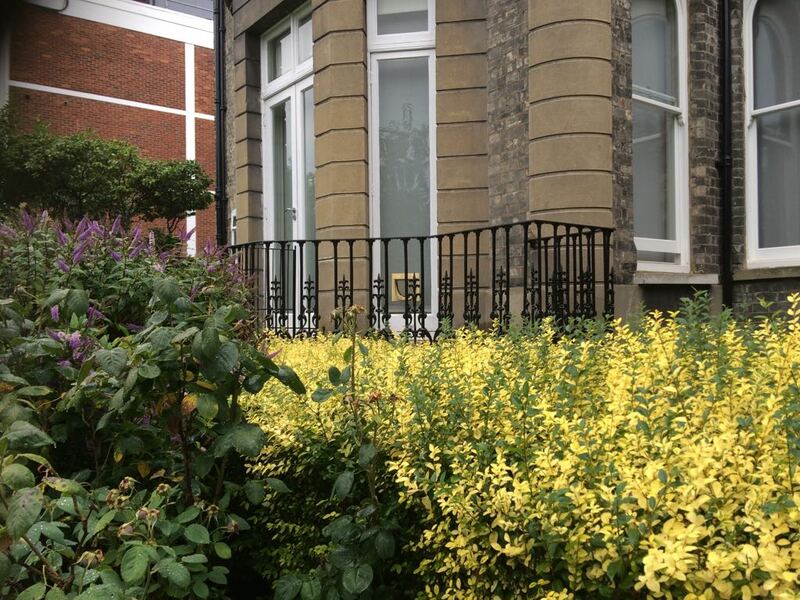 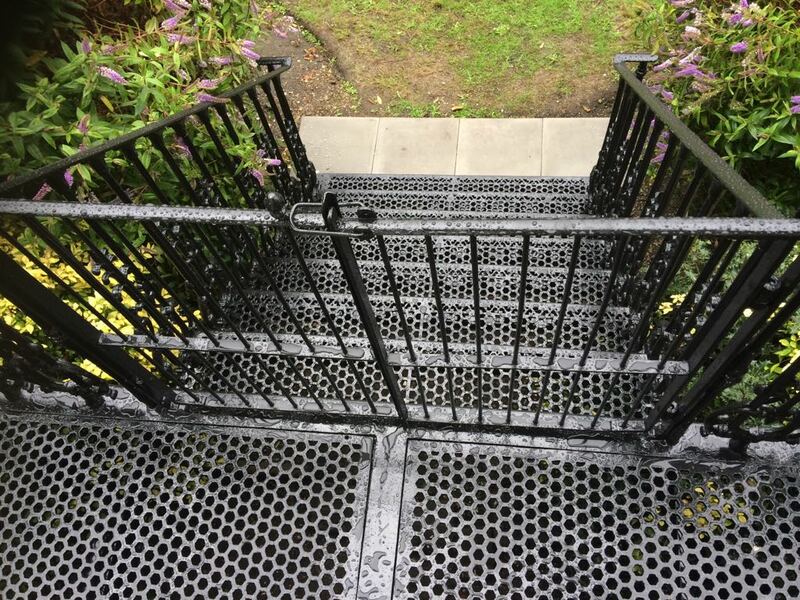 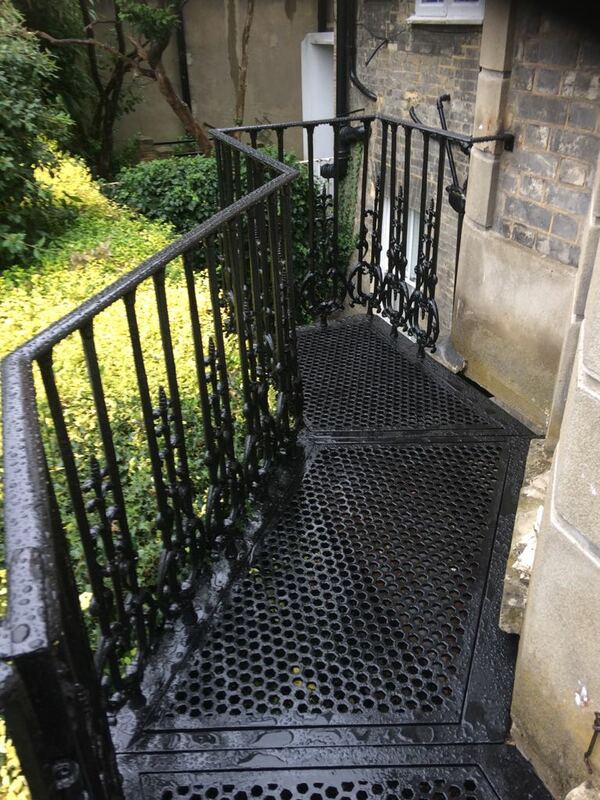 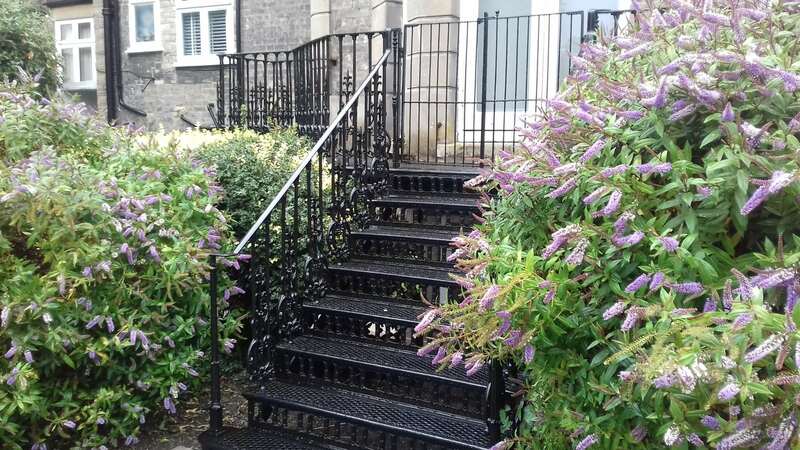 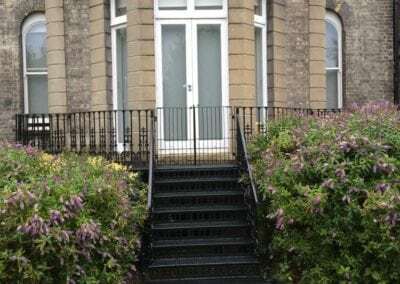 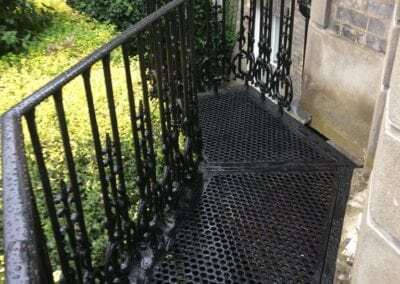 We then cast up new components and fitted them where they were missing, painted the steps, rails and balustrades with coats of rust inhibiting paint and refitted them on site, leaving them looking as beautiful as the day they were first installed.